Sloane Stephens had played five times at the Volvo Car Open (formerly, the Family Circle Cup) and had won only one match. After she won the whole thing today, she told members of the press that she had told a friend in Charleston to come to the tournament to see her as early as possible, since she had a tendency to not stay very long. from the forehand side. Vesnina, who came back from being down 2-5, held a set point when she served at 6-5, but she was broken, and would go on to lose the tiebreak. 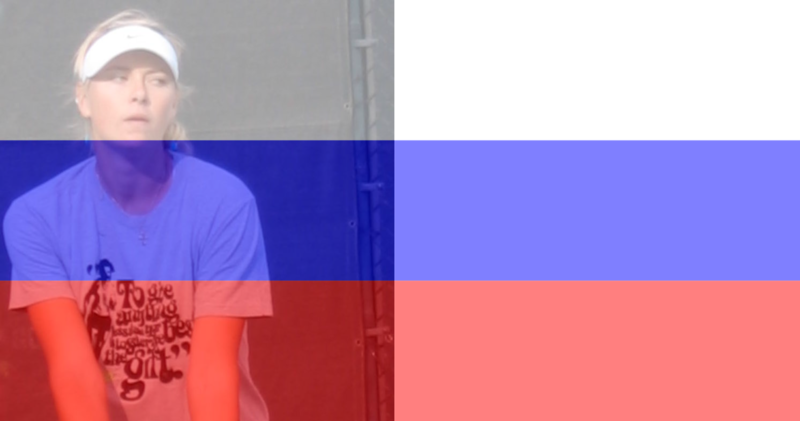 Every final has a backstory, and the Russian's part of the backstory is that she had already played seven matches (plus one doubles match, with Daria Kasatkkina) because she had to go through qualifying to get into the main draw. Throughout the opening set, she did not look like a player experiencing her eighth match. Still, one had the feeling that the tiebreak was a must-win deal for Vesnina--that the fatigue, mental if not physical--would have to set in. It did. Midway through the second set, Vesnina hit the first of two poorly executed drop shots. The Russian player is capable of hitting outstanding drop shots, but the two she hit in this set were easy pickings, especially for someone as fast as Stephens. Stephens went up 5-1 in almost no time, and while Vesnina fought back, she was no longer in a position to make the kind of comeback she had made in the first set. "At one point, I was thinking, 'she's everywhere,'" Vesnina said later of her opponent. Vesnina spent almost twelve hours on the court, and became the first qualifier to reach the tournament final in the long history of the event. A shoulder injury took the Russian off of the tour for a long time, and her run to the Charleston final as a qualifier will be very helpful to her cause, in terms of ranking points. Vesnina was also the runner-up in 2011, when she lost to Caroline Wozniacki in the final. That year, however, she and Sania Mirza won the doubles title. Stephens has now won four WTA singles titles. Three of them, she won this year. The Charleston victory included a special surprise: Volvo, the tournament's new title sponsor, gave the champion a new limited-edition Volvo. It turned out to be the same one that Stephens--as one of the top seeds--had been loaned for use during the tournament. "I just won a car!" the stunned champion shouted to the crowd. When she thanked all of the sponsors, Stephens added, "And especially Volvo--they just gave me a car."